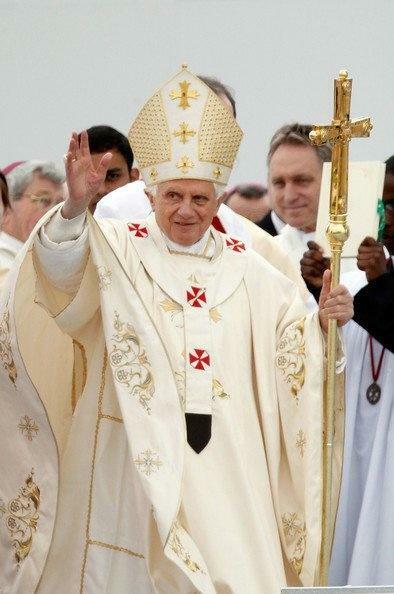 On Monday, 11 February 2013, it's unexpected that Pope Benedict XVI issues resignation as the current Pope of Vatican City. The Philippines thru Presidential Spokesperson Edwin Lacierda expressed regret for Pope Benedict XVI decision. Not only the Catholic world, but all peoples and nations of goodwill are filled with great regret as news comes of Pope Benedict XVI announcing he intends to relinquish the Petrine Ministry on February 28 of this year. This is the first time in centuries that the papacy will be vacated by means of resignation. It is a momentous time for the Catholic Church and all those with whom that Church has interacted. At this time, when the Pope has announced the physical challenges he faces makes it difficult to continue bearing the burdens of his office, we join the Catholic world and all whose lives he has touched, in prayer and sympathy. May he find respite from his physical challenges, and peace and contentment in the seclusion of retirement. Pope Benedict XVI’s decision, historic as it is, is in keeping with humility and pastoral approach he has placed at the core of his service as Pope. It is also an act of supreme faith in the institution he has headed, and the faith he has proclaimed to the world. We pause in human sympathy with Pope Benedict XVI in his acknowledgement of the great physical burden of his office. With millions of Filipino Catholics the world over, and the great religions of the world who found in Benedict XVI a man of sincere spiritual dialogue and great intellectual engagement, we hope and pray the Catholic Church and the Holy See will emerge from the coming period of the Sede Vacante, the conclave to come, with the election of a new Pope prepared to take up the great burdens and expectations of the Catholic faithful worldwide. We recall, in particular, with fond gratitude, the many prayers and comforting words Pope Benedict XVI has dedicated to Filipinos in times of calamity and challenge, and his words of encouragement and witness in the many Catholic events that have brought Catholics together, such as the recent canonization of San Pedro Calungsod.